10 Farnsworth is Boston’s newest boutique luxury development in the vibrant Fort Point neighborhood of the Seaport District. 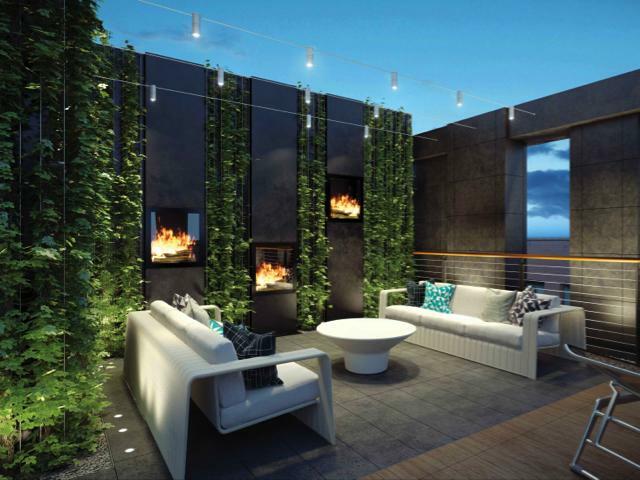 9 exceptionally luxurious residences enjoy direct elevator access, an on-site garage with automated parking system and a combination of shared and private roof gardens that include outdoor kitchen, dining and living areas. The finest materials and superb craftsmanship have gone into every detail of these dramatic, wide-open floor plans surrounded by floor-to-ceiling windows. Chef’s kitchens feature Carrera counters, Italian cabinetry by Arclinea and appliances by Sub-Zero, Wolf and Asko, including a fully vented 6 burner gas range. Palatial master-suites are well-appointed with expansive wardrobes and ultra-luxurious en-suite bathrooms with walk-in showers and a sculptural freestanding tub. Central-air, gas fireplaces and radiant flooring ensure comfort all year round. Complete and customizable Smart Home technology runs off your Android or iOS, allowing full automation control of media, lights, music, blinds and security and entry systems.